To cute right? I got these adorable pumpkin little pots that can go in the microwave and oven. I wonder what kind of goodies I can put in there. Maybe little pumpkin pies? How about some homemade soup? Maybe roasted vegetables? Oh the possibilities are endless. I also bought some organic sweet potato and sweet potato butter. Not sure what to do with those items, but I am sure I’ll find something. Ok, now the best thing that made me excited, you ready? Here it is! Ha ha Sugar Free Pumpkin Pie Syrup! I am so dam excited I can barely control myself!! Ok, what to do with this? Here it goes, you ready? 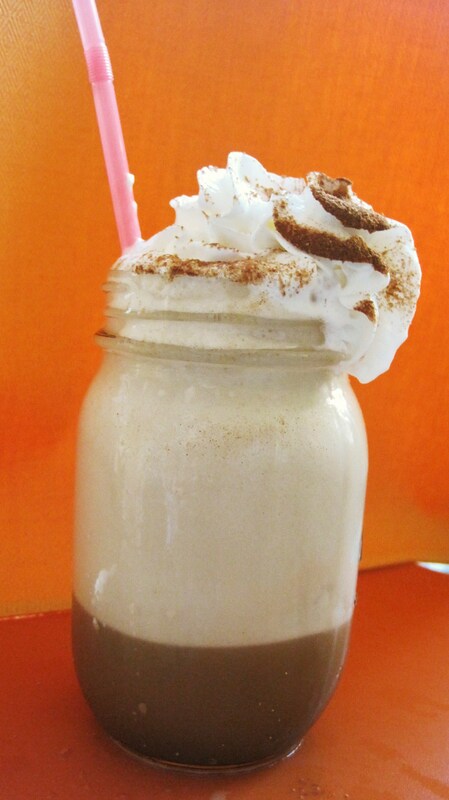 Pumpkin Pie Ice Coffee Frappe! OMG! Overload here, so good! Now normally this time of year I get depressed because I want all that good pumpkin stuff but the calories kill me, so I don’t get it! Well sorry Starbucks, I’m staying home to make this! First before you see the final, let’s do a Starbucks comparison. Not bad stats huh? Mine also makes about 4 cups, so you could split it in half and share with someone, but why would you? Ok, you ready for the final product? Here it is!! Ok, the picture is large, but it deserves to be seen! I love this!! So dam good!! 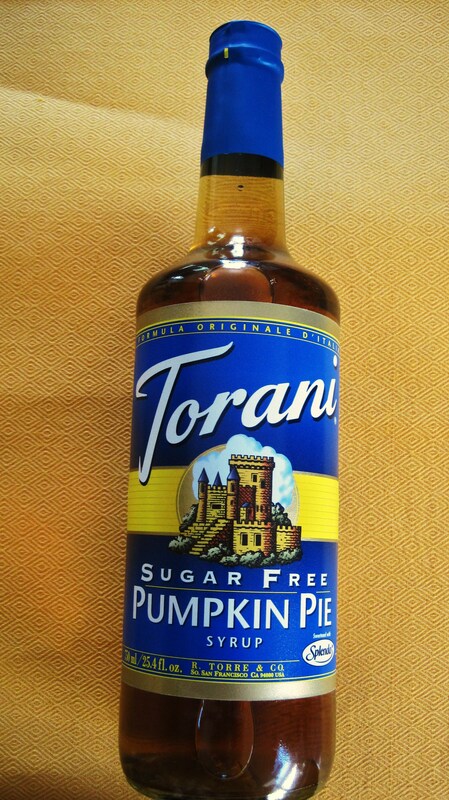 Ok, drop everything and go to Cost Plus and get your Sugar Free Pumpkin Pie Syrup from Torani!! Go, now!!!! What are you waiting for? Ok, stay and finish reading this blog! Place everything in the blender and process for about 1 minute. If it is to thick, add more milk. Place in a large glass if your drinking it all yourself, which you should. Add whip cream and cinnamon or pumpkin pie spice! Sit back and enjoy! Forget everything else and drink your pie! Now to tell you, I normally don’t like anything with Splenda, but I do use the Sugar Free Syrups with Splenda in it for my coffee. It’s the only thing I use with Splenda. I drink ALLOT of coffee, so I need to cut the sugar somewhere. Now if you don’t like this, or you’re not running out to get your syrup, then try this recipe from Healthy Food for Living http://www.healthyfoodforliving.com/?paged=2. Lauren is kind of enough to let me share it with you. I tried it yesterday and it was most excellent. The only modification I used was using Non-fat milk, since I don’t care for Almond Milk. But her drink was so good!!! Not to mention no artificial sweeteners. Very healthy!! I hope you enjoy this post as I did making it, drinking and loving it! Ok, I need one more drink, with 20 calories I could drink this all night!!! 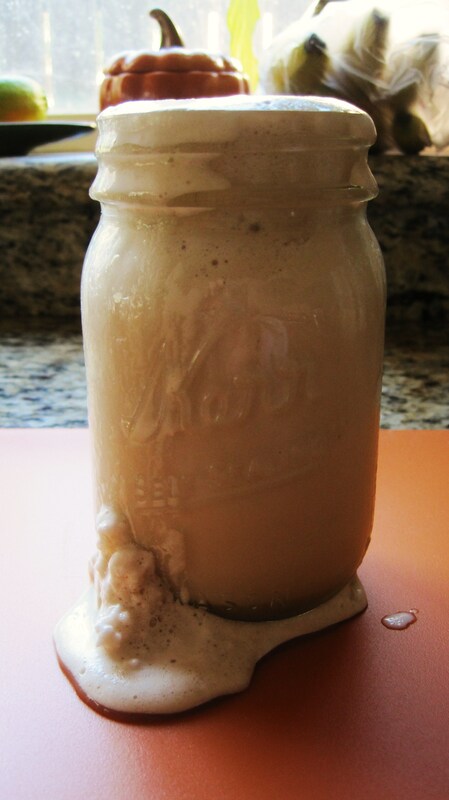 I do my Latte Frappes at home with a frozen banana instead of ice and the texture is amazing, plus super healthy! I love frozen banana’s! I love them with strawberries, peanut butter and granola! Yum! I never thought of using them in place of ice in Frappe. I’m going to try that! I bet it makes it so creamy! Now I want one now,but I have to head of to work!! Thanks for the great idea! I;m excited to try that! 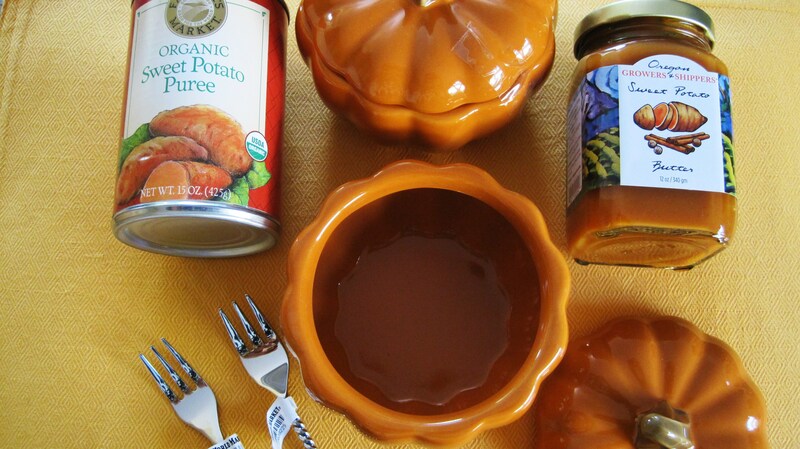 Love the little pumpkin containers! Thank you! Funny you went on this post, I was just looking at it! It was within my 2nd week of blogging. I love your blog! Thank you so much for treating us all with your wonderfulness! Those pumpkin bowls! OMGOSH they are gone gone! I want 6! Yummy recipe!